The value of face-to-face networking is recognised as one of the most powerful marketing tools available for increasing business awareness, creating meaningful relationships and providing growth opportunities at a personal and professional level. It allows you to connect and promote your business in a way that is simply impossible in a virtual digital world. Attending networking events will allow you to make deeper connections with people you’ve been communicating with via WhatsApp, Facebook, Skype etc for many years. Meeting new people, getting and receiving referrals could be the difference between sluggish and rapid growth. However breaking out of your comfort zone and engaging with new people can be a daunting task even for the seasoned. It is important to know how to interact effectively and avoid some of the mistakes of the novice networker. Recently we came across Zoe Bennet an expert in the networking field. This extraordinary Black woman has turn adversity to success and went from being pregnant and facing unemployment to dominating the art of networking. Her natural warmth, energy and inspirational talks have helped her network with industry experts across a variety of fields and formed the basis of her much acclaimed book ‘Networking Personfied’. 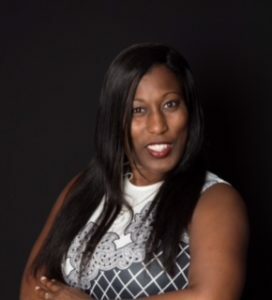 Ebonyonline.net caught up with the much in demand networker, author, motivational speaker and mother to get the low down on the do’s and dont’s of effective business networking ahead of our Black Business Networking and Growth event to be held in June (see details below). EOL: How would you define business networking? ZB: Business networking is all about relationship building. However it goes much deeper as a considered science. The key is to really want to engage with others with the view of not what can I get out of networking but what I can put into it. When you approach it with this mind set you do not feel as if you are not getting anywhere if initially you don’t seem to be reaping what you think you should. You have to look at many different aspects such as being self reflective, self analytical and self aware. Also understanding that people buy from people based on a synergetic connection is an important part of the process and yes I said it (It is a process). EOL: What are some of the your tips for effective business networking? Do not just be interesting be interested in other people and who they are and what they do and how you can help them. Do not go into networking thinking that the person in front of you is no use to you and therefore think you do not need to engage. This is a wrong approach, as you do not know who they know and how valuable their connections can be to you. Be warm and inviting and smile, it’s free. EOL: And some valuable tips post event? Always follow up with “it was a pleasure to meet you” correspondence. EOL: Why is Face to Face networking important? ZB: Face to face networking is important but not necessary 100% of the time. It is important to have a mix of face to face and virtual as you still need to find time to execute your business. You can go so far with the social media platform networking but much further with the video networking as it becomes more engaging as you can see that person and their mannerism in response to each other’s comments. ZB: I wrote the book as many people have heard about my story that was in the Daily Mail, Mirror and the Voice as well as various magazines. People were expecting to hear about my adverse story but what people needed to understand was in order for me to get the outcome within my story it started with people. So I decided to write about the importance of building positive relationships and this was intertwined into the book I wrote. Without establishing relationships and nurturing, managing and developing them I would not have succeeded to date in my various struggles and triumphs. The book helps others to strip whatever situation they are in back and look at their aims and goals in a holistic approach based around people which in turn yields positive results. EOL: What are you three top tips for business success? ZB: Do not take yourself too seriously, show people who you are, your personality, let it shine through. Be authentic to your brand. If you say you are a time management specialist, do not be late. If you say you are a stylist, look the part. Networking Personified draws upon the fact that networking is an art and a skill that is created in connection rather than the hard sell. Motivational Queen, Zoe Bennet, has skipped the fluff and the sugar-coated analogies to get this message across. Be sure to get stuck right in with the easy to follow exercises, as these will provide you with a clear image of how your business networking skills have developed. This isn’t just another predictable manual or a clear-cut set of instructions. This book is a journey; a journey to finding the inner assertive, assured and confident you. Zoe owns a Personal Development Training Company and is also an International Inspirational Speaker also known as The Motivational Queen. Zoe Bennett has a unique keynote story which she titles “Through Adversity Breeds Success” She uses tragedies in her life to reinforce that when life overwhelms you and you cannot see a way of succeeding, that you can find the inner motivation, strength, strategy and drive to ensure you are successful even through the toughest times utilising mindset. She tapped into her contacts to help her through these turbulent times and continues to network like no other to achieve personal and shared goals.